Ireland's Wild Atlantic Way scenic driving route had completely captured our imagination. Getting to Ireland was easy – there's plenty of room on the ferries for cars, caravans, motorhomes and even juggernauts! After driving from London to Holyhead (Anglesey), we enjoyed our calm three-hour Stena Line ride across the Irish Sea to Port Dublin. It gave us time to eat, shop and snooze and made a welcome break from driving. As soon as the ferry docked we were raring to go and drove north-west to the Practical Caravan and Practical Motorhome Top 100 Sites Award-winning Rushin House Caravan Park in Belcoo, County Fermanagh. Cahal and Brenda O'Dolan of Rushin House Caravan Park are wonderful hosts, who just couldn't do enough to help us make the best of our holiday in Ireland. They even introduced us to the delicious Wheaten Bread, which is sold just down the road in Belcoo. All the pitches are wide hardstandings on level terraces with fine views of Lough MacNean, so we were absolutely spoilt for choice. Each pitch comes withtwin electric hook-up points, a fresh water tap and a grey water drain. Claudia made a short video of Rushin House for The Caravan Channel. The sun was twinkling on the lough, birds were singing and we felt lucky to have found such a place. Rushin House is in County Fermanagh, Northern Ireland, and just a couple of miles away is the village of Blacklion, which is over the border into the Republic of Ireland. You'll need to use Euros in the Republic and Sterling for Northern Ireland, keeping both handy as you cross the almost invisible borders in this area. We visited Enniskillen in Northern Ireland to see the old castle, strategically built on the river, and discovered that there's a choice of good eateries and shops here. We remembered to pay in Sterling. Still in Northern Ireland, we visited The Marble Arch Caves and Geopark and marvelled at the delicate porcelain creations at Belleek Pottery. We'd come to Ireland to see the Atlantic coast, though, so the call of the sea soon proved irresistible. First we drove west to County Sligo, to check out a couple of campsites that were set right on the sandy beaches south of Sligo City. Strandhill was the first campsite we explored and we had fun wandering along the dunes that keep the site sheltered from the Atlantic winds on stormy days. Check out Strandhill Caravan & Camping Park in County Sligo here. Next we drove up the coast a few miles to Rosses Point, where we had a lovely chat with Noeline, the warden at Greenlands Caravan Park. If you're looking for a campsite with a fabulous sea view, choose Greenlands Caravan Park, which is set on the hill at the end of Rosses Point. Noeline runs it in a firm but fair way, and has many devotees among the regular campers who return year after year. There's a lovely children's play area on this site, plus a camper's kitchen and lounge. The facilities are clean and tidy, too. Even if you're camping elsewhere, we'd recommend that you should visit the beach at Rosses Point, where there's plenty of room for camper vans to park in the car park. The joy of travelling with both a motorhome and a caravan and tow car now became obvious. We took the caravan back to Rushin House Caravan Park and used it as our base camp, while we went off exploring in the tow car and the motorhome. We were now hooked on the sea views and heady breezes of the Wild Atlantic Way, so we headed north and into Ireland's breathtakingly beautiful County Donegal. I've written a quick travel guide to County Donegal for Practical Caravan. West coast town Ballyshannon, where 70s guitar rock hero Rory Gallagher grew up, charmed us with its bars, diners and a little bistro called Nirvana. Determined to try authentically Irish food, I had Irish steak (medium rare) with champ, a creamy mashed potato with mushrooms, vegetables and finely chopped spring onions (scallions) worked into it for maximum delicious flavour. Only in Ireland could steak and simple potatoes taste so heavenly. We stopped to explore Fintra Bay, one of many fantastic beaches on the west coast of Co Donegal. We carried on along the Wild Atlantic Way, heading north to visit Slieve League (Sliabh Liag), some of the tallest sea cliffs in Europe. The road began climbing just after Killybegs, famous for its carpet-making and past Teelin, with its Sliabh Liag boat trips. There were many viewpoints as the road twisted and headed up the mountain. Finally we reached a small car park and left the motorhome here. The track continued up the mountain, but had a sign clearly saying 'No motorhomes'. We made it to the top, and were rewarded by the awe-inspiring sight of Slieve League cliffs towering above us and waves crashing on rocks far below us. We had an ice-cream and a coffee from the caravan vendor to celebrate. After this our route took us to even more remote parts of Donegal – The Rosses, Gweedore and Glenveagh National Park, with its mysterious Poison Glen. People come to this part of Ireland from all over the world to find creative inspiration in the land of myths, legends and untamed landscapes – and to learn Irish Gaelic and find out about local customs. It's a true 'Gaeltacht' area, where Irish is the main language and the road signs are either bilingual or just in Irish. Luckily it's easy to follow the Wild Atlantic Way, whether you can translate or not, since there are special blue wave signs to guide you along the coastal route. We visited beautiful Glenveagh Castle, with its lush gardens and views of the lough while we were in Donegal. This is a well-run tourist destination, with guided tours available in several languages. The gardens are testament to one determined woman, who transformed the bare mountains by planting trees and flowers in a wonderful profusion. Our next campsite was Wild Atlantic Camp in Creeslough, County Donegal, between Dunfanaghy and Letterkenny. This new campsite makes an excellent base for anyone exploring the Wild Atlantic Way along the north coast of the Republic of Ireland. From here we discovered the delights of Sheephaven Bay, where horses ride out across the wide sands at low tide from Dunfanaghy. This little town proved a lively one for surfing, nightlife, live music and restaurants. We also found in Dunfanaghy antiques, a Vintage fashion boutique, craft shops and a health food shop called The Green Man, selling the delicious local Guinness Bread and Wheaten Bread, local cheeses, ice-creams, chocolate and other temptations. Back at Wild Atlantic Camp we enjoyed fish and chips from the takeaway right next door and had a ride on the aerial slide, which was great fun, even in the rain. We had a look at the interiors of the new glamping pods while we were here. They offer cheap and very comfortable accommodation for up to four people and you can even hire bedding for a very reasonable cost. The campsite is great for children, since there's a good adventure playground, a campers' kitchen and a spacious lounge indoors. Donegal's north coast has many remote peninsulas and we just had to visit a few of them. We explored Ros Guill and Fanad Head and then finally went up the Inishowen Peninsula to the most northerly point in Ireland, Malin Head. There are 13 top beaches in County Donegal, which have been awarded Blue Flag status for cleanliness. It's a great place for a family holiday and one beach that I particularly liked was Marble Hill. For more beautiful beaches, read my quick travel guide to County Donegal on Practical Caravan's website. Satisfied that we'd covered a lot of this glorious county, we left Donegal and drove across the border and along the Antrim coast in Northern Ireland.  Our destination was Ballyness Caravan and Camping Park in Bushmills, Northern Ireland, another regular winner in Practical Caravan and Practical Motorhome's Top 100 Sites Awards. The site is beautifully run and maintained, with all you could possibly want in a campsite. New for 2014 is a solar garden, which takes the site's eco-friendly credentials to new heights. I also particularly liked the indoor recreation room, with plenty for teenagers to do. We were here to see the famous Antrim coast, so the next day we left the 'van on the campsite and bought a bus ticket that would take us to the three main tourist attractions in the area. Our first stop was The Giant's Causeway, and we loved clambering over the basalt columns, listening to an audio guide to the legend of the famous giant himself, Finn McCool. Before leaving, we had Irish Stew in the huge modern Visitor Centre. We caught the bus along to Carrick-a-Rede next. There's a bit of a walk from the entrance, all along the cliffs, to the iconic rope bridge that spans a gap between the cliff and an island. We summoned up the courage to cross the wobbly bridge, trying not to look down through the twin-planks of the floor to the rocks and boiling sea far below. After that we explored the little island, with its nesting gulls, then crossed back to the mainland over the rope bridge and walked back up the steep steps of the cliff to the café. That was when we discovered, to our dismay, that there was a two-hour gap between buses in the afternoons. I told Claudia that it was a gift, and that we should have tea and cake and a rest! She agreed and we sat outside soaking up the sunshine, watching the world go by. By the time the bus came, we'd run out of time to visit the third great tourist attraction on this coast – Bushmills Irish Whiskey. Never mind, now we have a taste for Ireland and Northern Ireland, we may well be back! Our epic trip to Ireland was fast drawing to a close and our ferry was due to leave the next morning. Reluctantly we said goodbye to our lovely hosts at Ballyness Caravan Park and drove south towards Dublin. Our friend at the Irish Tourist Board had recommended a good site for a stopover before catching the Dublin ferry back home to England. We set the sat-nav up and drove to Moat Farm Caravan and Camping Park in County Wicklow. Had we turned the map inside out and looked at how far it was from the North, we wouldn't have come here! However, some of the best discoveries happen by accident, and this was one of them. Moat Farm Caravan and Camping Park is in Donard, a small village in the foothills of the Wicklow Mountains. It's a pretty area and there are many famous attractions here. When we met owner Nuala Allen, she told us about all the wonderful places we could get to from here. We should visit Glendalough Monastic City, the Japanese gardens, the hand weavers at Avoca Village and mill, and so much more. It was tantalising, but we were booked on the morning ferry. We promised that we'd be back to stay properly and explore County Wicklow another time. During our trip we drove for more than 1500 miles in the motorhome, and also used a caravan and Landrover Discovery tow car. We met so many friendly hospitable people in Ireland and Northern Ireland. Prices in the Republic seemed very reasonable compared to my last trip, a few years ago, thanks to a good exchange rate when we converted our Sterling to Euros. All in all, I'd thoroughly recommend that you visit Ireland and Northern Ireland – and enjoy one of the most scenic drives of your life by following The Wild Atlantic Way. Read the Practical Caravan travel guide to make the most of your motorhome and caravan holidays in Ireland, or County Donegal, on the Practical Caravan website.We also have travel guides to camping holidays in Northern Ireland, County Londonderry, andthe Antrim Coast, with advice on how to get to Ireland by ferry. We drove the Auto-Sleepers Kemerton XL motorhome all the way from London and back again. In Ireland we picked up our Sterling Eccles Sport 514 (kindly lent by Cookstown Caravans Ltd) and towed it with a Land Rover Discovery 4 3.0-litre hired from 4x4 – Land Rover and Range Rover Hire Belfast. On the coast road at Rosses Point we made quite an eye-catching convoy!